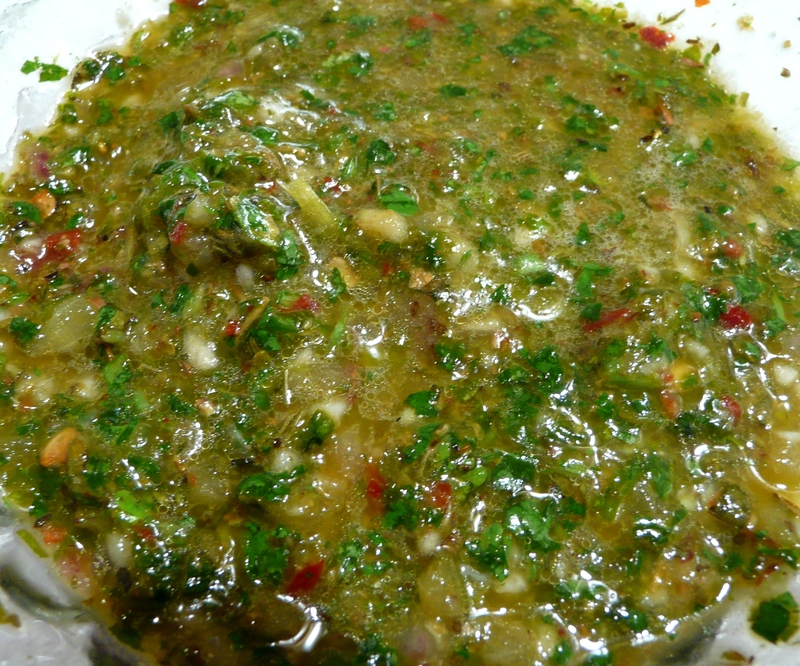 Chimichurri can be used as a marinade, dipping sauce, sandwich spread, and even a tasty garnish. It’s really easy to make – just throw everything into the food processor and pulse! Goes great on steak. In a food processor, add the parsley, garlic, vinegar, onion, oregano, red pepper flakes, oil, and a pinch of salt/pepper. Zest the lime and add that zest to the food processor. Squeeze the juice of half the lime into the food processor. Pulse until everything is combined and finely minced. © 2010 Feeding My Folks. All Rights Reserved.